It’s that time of year! 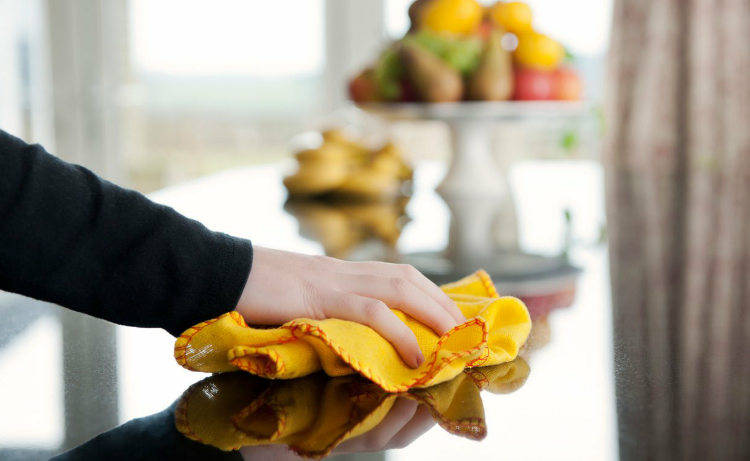 We tend to get a bit lazy when it comes to cleaning during the winter – and who can blame us? It’s cold and dark and all we want to do is curl up in front of a fire and wait for the warmer weather. Now that the sun is beginning to make an appearance, it’s time for a deep clean to keep our homes feeling fresh to match the spring air. We’ve put together some tips to remind you of some of the places that are often forgotten – happy spring cleaning! Wooden flooring is something that shouldn’t be included in the weekly clean – mopping them often could ruin them! Instead, clean them once every 2 months and only spot clean when needed. The best way to prevent stains on granite countertops is to seal them several times straight after installation. After this, you should have them sealed a year after – perfect to include in your spring clean! Then you can just clean up spills as and when they happen. Clean tiles with a cleaner that has a neutral PH, or with a baking soda and water mix. Pay special attention to any white grouting as mould can gather here easily! Windows – inside and out! Throughout the winter, most of us just clean the inside of our windows – now spring is here, it’s time to give the outsides some attention. Try to clean them on a cloudy day so that the sun doesn’t try the cleanser before you’ve finished wiping. Dust and grease can build up quickly on cabinets, but we don’t tend to clean them very often. Use a cabinet cream to get rid of any dirt that has collected on them. Time to freshen up your wardrobe! Give any unused clothes to charity, polish your shoes, and making your morning routine easier by organising your closet by your most used items. If you don’t clean your dishwasher once every month, your dishes won’t get cleaned properly. Remove any food at the bottom and run a cycle with special cleanser for your dishwasher. Cleaning out the fridge can seem like a big job. Luckily it doesn’t need to be done too often – once every few months should be fine. Pull out all the shelves and drawers and clean with soapy water, then wipe down all other surfaces, inside and out. Use a wax-based spray once or twice a week – but not too much! Over spraying will leave the surface grimy. Using a toothbrush to clean your silver is a good idea as it isn’t too abrasive. Don’t put them in the dishwasher! If it smells like burning when you cook, it’s time to clean your oven! Use ammonia on burnt on food, then put some baking soda and a few drops of white vinegar in the bottom. Let it froth up and then clean away the grime with a sponge. Disinfect your washing machine with distilled white vinegar and baking soda to start with, then, run the machine with hot water. Add cleaning agents and let it sit for 30-60 mins. Then restart the machine, let the water drain, and wipe dry!